Bhupendra’s company, B D Parmer Ltd, provides management consultancy and project management services, specializing in business and IT processes and governance. Bhupendra recently switched to inniAccounts from a traditional high-street accountant. Here’s what he had to say about making the move. 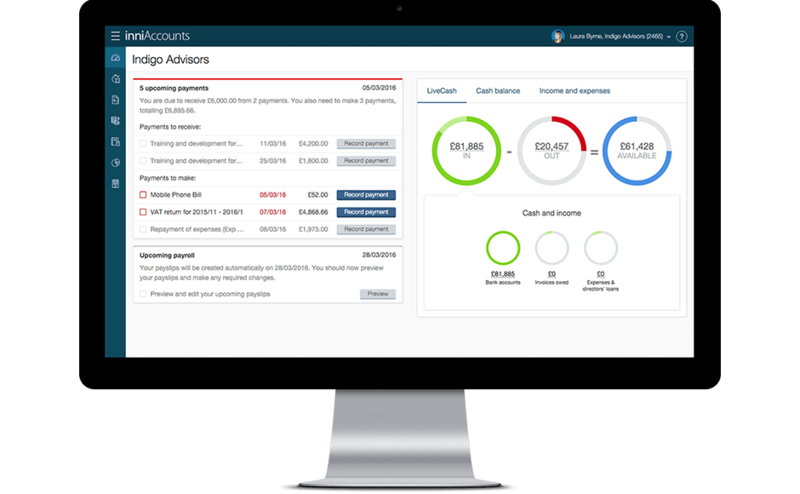 I was looking for straight forward accountancy service that allowed me manage my accounts with as little fuss as possible. I discovered that the majority of accountancy firms were unwilling to transfer my company part way through its financial year, so I was relived to hear that inniAccounts could. The transfer from my old accountant to inniAccounts was extremely smooth, despite the fact I did it mid-year. Now I’m using inniAccounts it’s proving to be rich in functionality and easy to use too. It’s extremely helpful that I can view my cash position at any time, rather than just my company accounts. The reminder service works really well too. I feel as if inniAccounts is a reliable partner in managing my business because everything runs so smoothly. It’s really easy to manage my accounts now. The ongoing service I’ve received is excellent. All of my queries and requests are dealt with promptly – usually within 24 to 48 hours. Also, I’ve recently reached the end of my company’s financial year and I’m very pleased that it’s taken inniAccounts just three weeks to produce my annual accounts. This is a vast improvement compared to my previous experience. If you’re thinking about joining inniAccounts ask the team to set up a trial account and a dummy company for you. Put through a month’s worth of transactions and get used to how the software works. This will raise a number of questions like “how do I do this?”. Then, ask your questions to the inniAccounts team and see how well and how long it takes for them to answer your questions. You’ll then get a good idea of the level of service you can expect as a client.